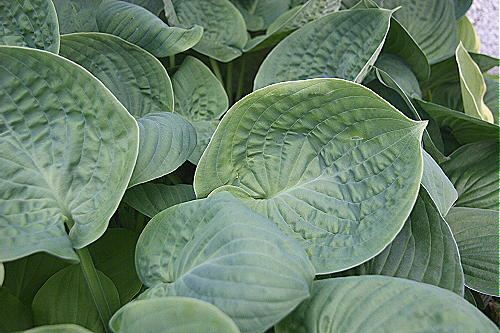 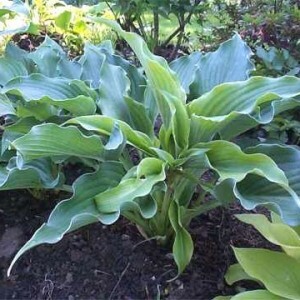 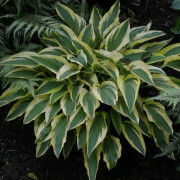 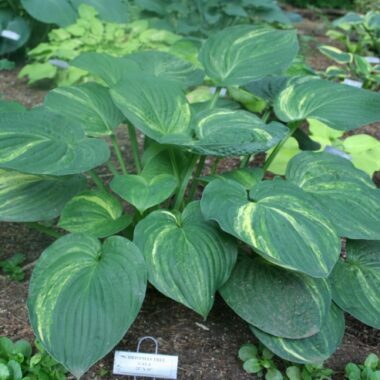 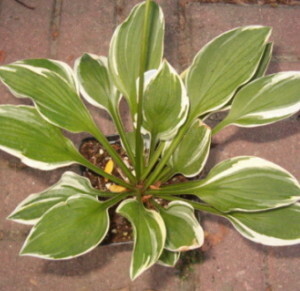 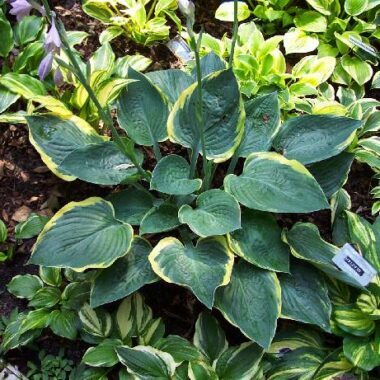 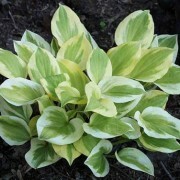 Cloudburst Hosta – Unruly, thick, blue-green foliage turning a rich, shiny, dark green by mid-summer. 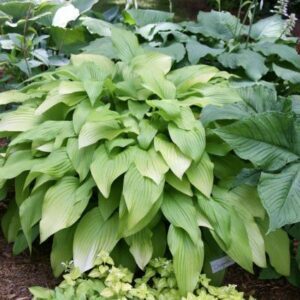 Med/Large: Medium size 16″ x 33 ” wide mound of thick, corrugated, puckered leaves that emerge blue-green and turn dark green 8 1/2 “x 7 ” wide. 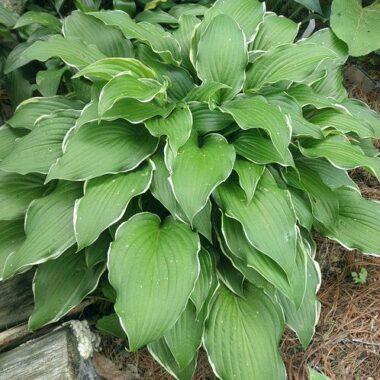 Pale purple flowers in July.